Right now, we’re in the middle of SyFy’s Sharknado week. On Sunday night, SyFy will premiering what they say is going to be The Last Sharknado. In the days leading up to that moment, they’ve been reshowing all of their classic shark films and premiering a new shark film each night! Wednesday night’s premiere was Frenzy. 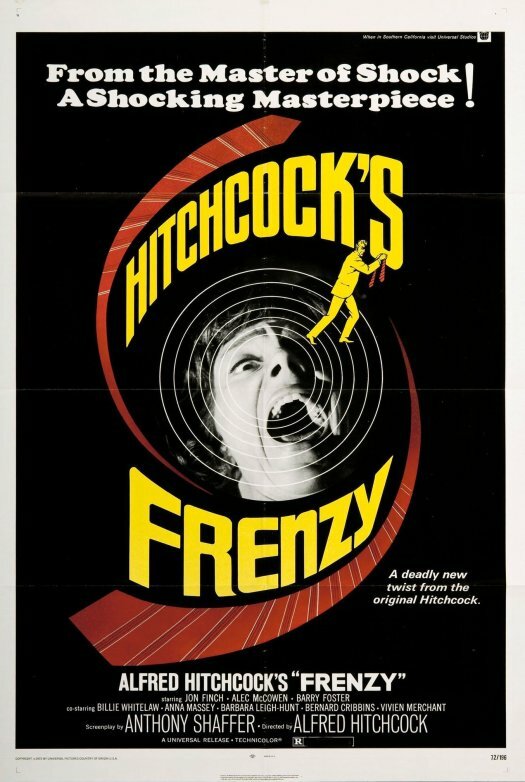 Frenzy‘s a bit different from some of the other shark films that SyFy’s been showing this week. Make no mistake, the film did feature sharks. In fact, there were three very big sharks who swam through the ocean and ate just about anyone or anything that they could sink their teeth into. Not only did they eat people who were unfortunate enough to be floating out in the water but they also bumped up against boats, the better to knock poachers overboard. These were some mean sharks! That said, they weren’t ghost sharks. They weren’t zombie sharks. None of them wore a little Santa cap on their fin, like Santa Jaws did. They weren’t mutated by radiation or a Big Evil Corporation. And certainly, they weren’t dropped into the ocean by a tornado. No, these were just normal, very big sharks. Of course, things never go quite as smoothly as they’re supposed to. In this case, things go downhill as soon as Paige, Lindsey, and everyone else gets aboard a less-than-reliable seaplane so that they can go scuba diving. When the plane crashes into the middle of the ocean, Lindsey and a few survivors are left floating in the water. There’s an island in the distance but can they reach it before the sharks reach them? I also liked the way that the film used its flashback structure. With Lindsey continually flashing back between the past and the present, we were kept off-balance as far as Lindsey’s current mental state was concerned. It’s a structure that required us to consider what was real, what was dreamed, and what was just a hallucination. Frenzy was a nice change-of-pace for Sharknado week. This October, I am going to be using our 4 Shots From 4 Films feature to pay tribute to some of my favorite horror directors, in alphabetical order! That’s right, we’re going from Argento to Zombie in one month! Today’s director: the master of suspense, Alfred Hitchcock! 4 Shots From 4 Films is just what it says it is, 4 shots from 4 of our favorite films. As opposed to the reviews and recaps we usually post, 4 Shots From 4 Films is all about letting the visuals do the talking!